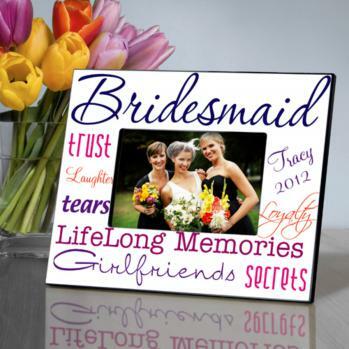 Far from boring, this frame includes a bright white background sprinkled with multicolored messages of various hues of purple and pink in fun-to-read fonts. A great way to tell your wedding party how you really feel! Personalize with one line up to 10 characters.